BTC Invest, spol. 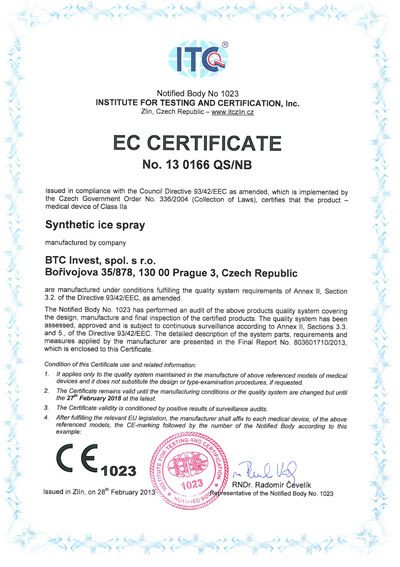 s r. o. is a dynamically developing Czech company dealing with investment advice, international trade and production and sale of medical devices. 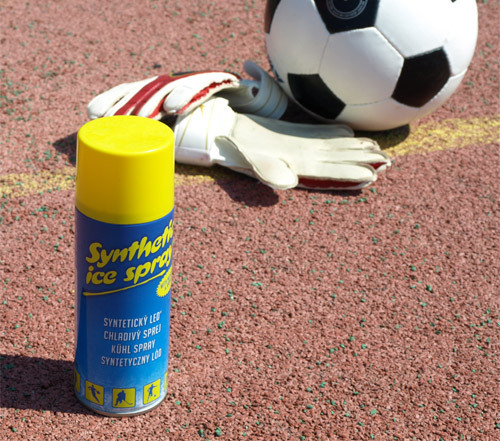 We manufacture and supply several kinds of medical devices in the sports medicine, surgical, dermatology, pediatric, dentist, rescue, etc., as are Synthetic ice spray®, KELEN® chloraethyl spray, Traumatol®, Traumaplaster®, Cryodent®, etc. We are a long-time supplier of medical resources to the largest network of medical wholesalers. 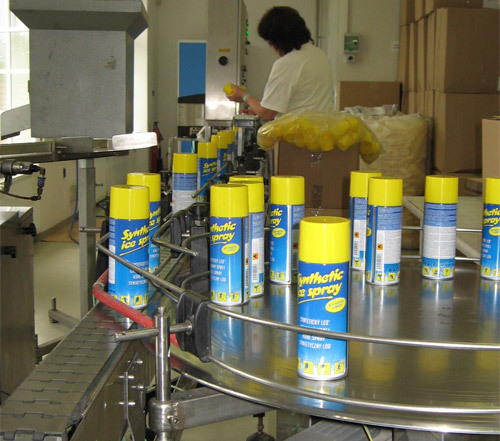 We are also the only one manufacturer of cooling sprays in Eastern Europe. Our company emphasizes high quality and efficiency of all products. These features are in demand not only on the Czech market, but also on foreign markets. 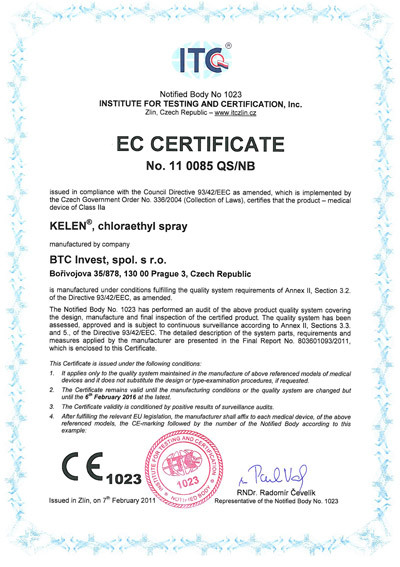 Each products includes instructions for use in several languages and its production, high quality and use are certified to European CE certificate according to Directive 93/42/EEC. 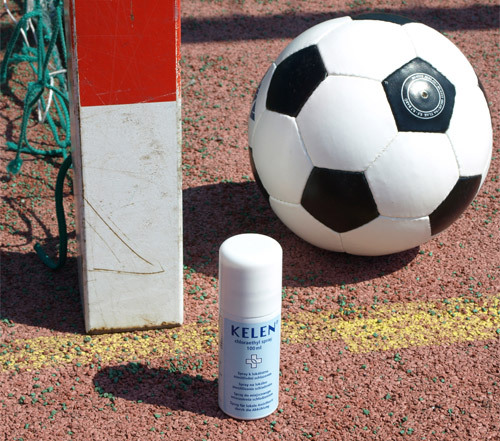 All our products are available and you can buy it in any pharmacy without the need for prescription or in a web of transactions listed on our website and also in specialized sporting goods stores.